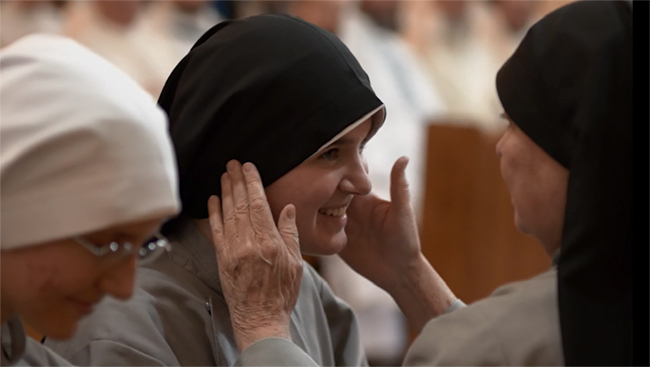 The film For Love Alone uses the testimony of religious sisters, their family members, and those they serve to convey the hidden beauty of religious life. Seventeen minutes of poignant imagery, stunning cinematography and stirring music make this the most powerful film in decades to unveil the essence and mystery of living as Brides of Christ. An event hosted by the Franciscan Sisters of the Renewal, and made possible by Frassati Fellowship, Vianney Vocations, The Sheen Center, and the Archdiocese of New York Vocation Office.